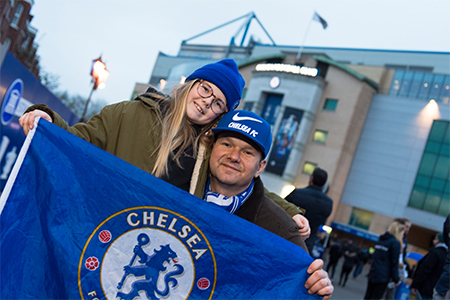 As an official partner of Chelsea FC, we’ve been on the hunt for Blues fans who go above and beyond to support their club and rewarding them through The Extra Mile competition. We can now reveal that the first winner of The Extra Mile this season is Adam Walczak, who has been to over a thousand Chelsea games, visiting over half the stadia in England, and watched games in 19 countries, including seeing the Blues bask in European Cup glory. Iconic moments like this are reflected in his vast collection of commemorative badges, an assortment nearing the three thousand mark, which contains pins that celebrate the club’s Premier League and cup successes, as well as tributes to Chelsea legends such as Gianfranco Zola and Frank Lampard. His story of dedication and passion for the Blues shone out from a great selection of entries, and he was rewarded with a pair of home match tickets to see his favourite team against Newcastle United, a 2018/19 Chelsea home shirt and a ball signed by the First Team. 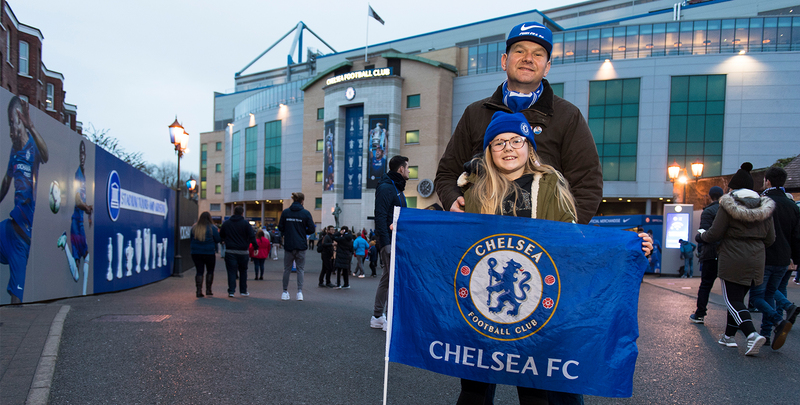 If you think your Chelsea story proves you go The Extra Mile, then we want to hear from you. Simply ENTER below.